Where in the world is Waygo now? Dublin! Waygo caught a bit of the travel bug and has been busy traveling Europe. 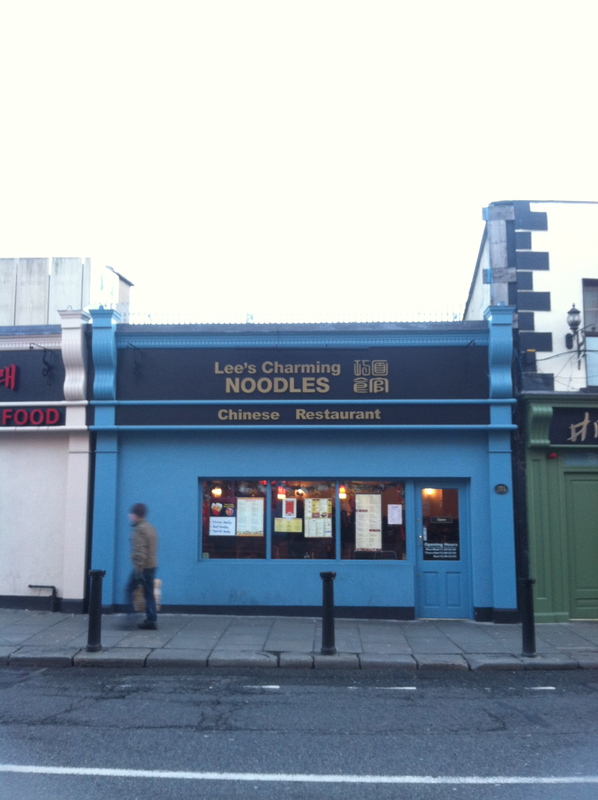 Although there is no Chinatown per se in Dublin, there are a number or Chinese businesses concentrated on Parnell Street and Moore Street. While this Chinese area is not as extensive as Milan’s, without a huge presence of Chinese residents, it was still fun to put Waygo to the test. 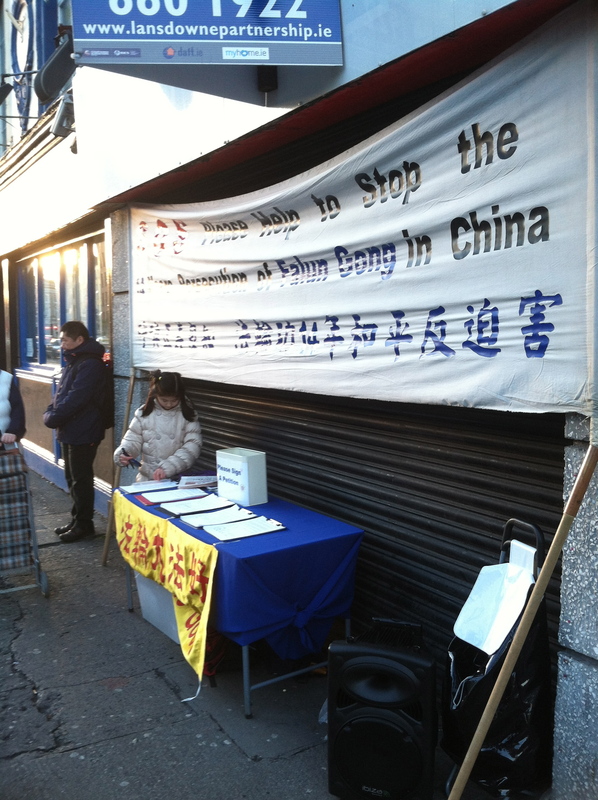 Falun Gong Activists along Parnell Street. 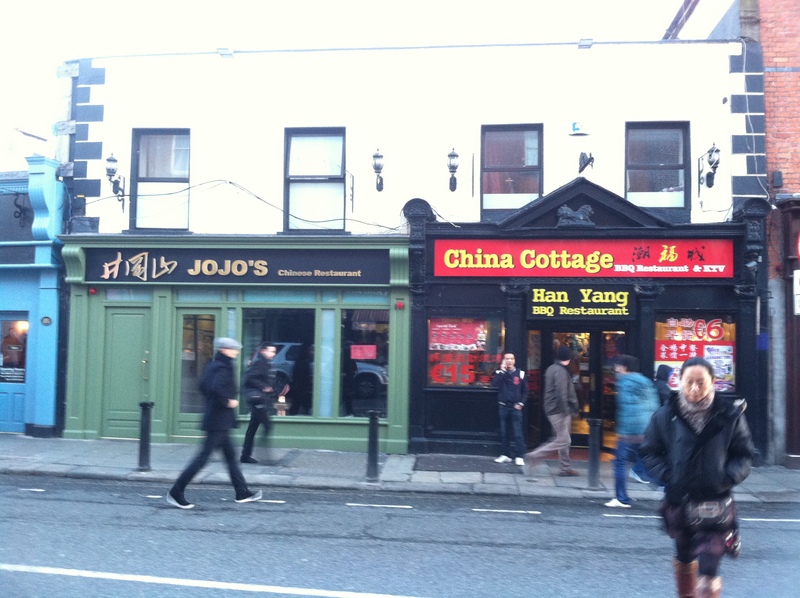 Most businesses are Chinese along Parnell Street. Although English is the predominant language in Ireland, the country has another official language, Gaelic. While Gaelic is a required subject for students, few people actually speak Gaelic outside of the classroom. That said, Gaelic is still spoken as a first language for some Irish, primarily from the west coast. All public signs and announcements in Dublin are in both English and Gaelic, sometimes making public transportation an adventure. 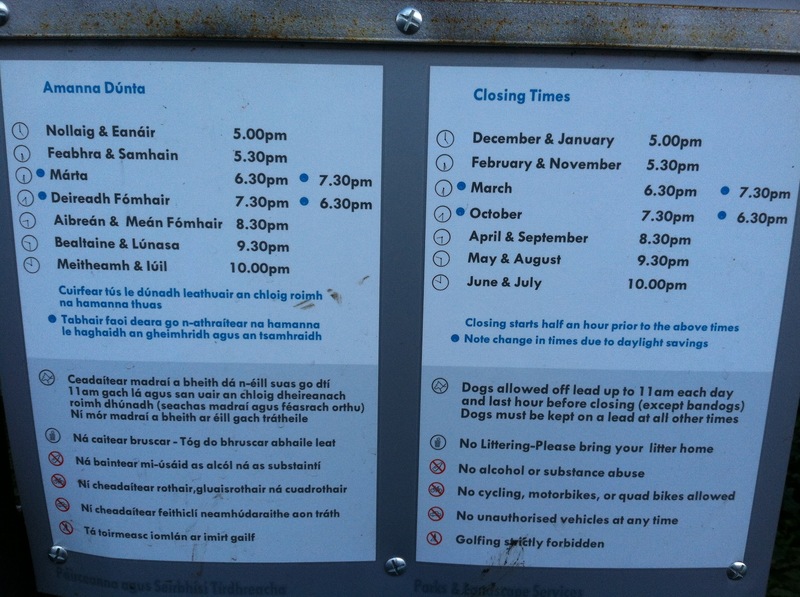 Merrion Square’s hours are posted. The Year of the Horse is announced. 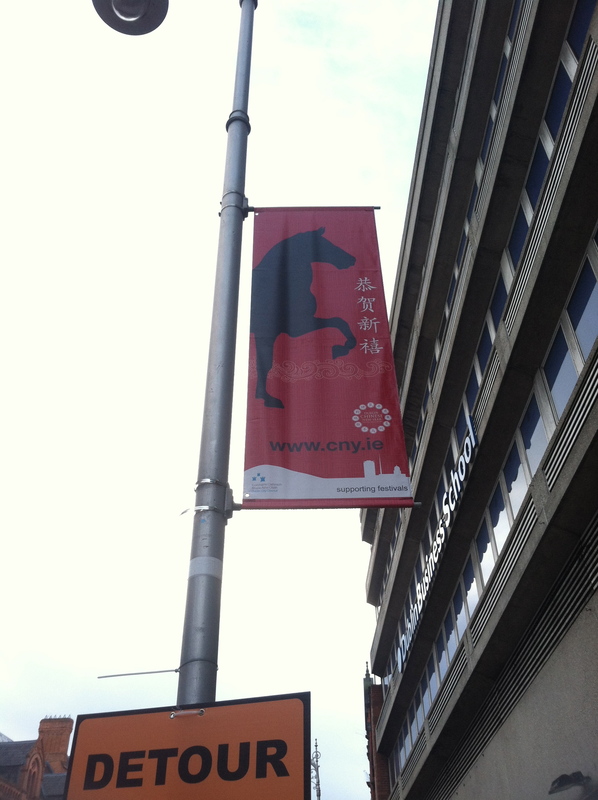 Walking throughout the city, you’ll see banners advertising the New Year of the Horse. 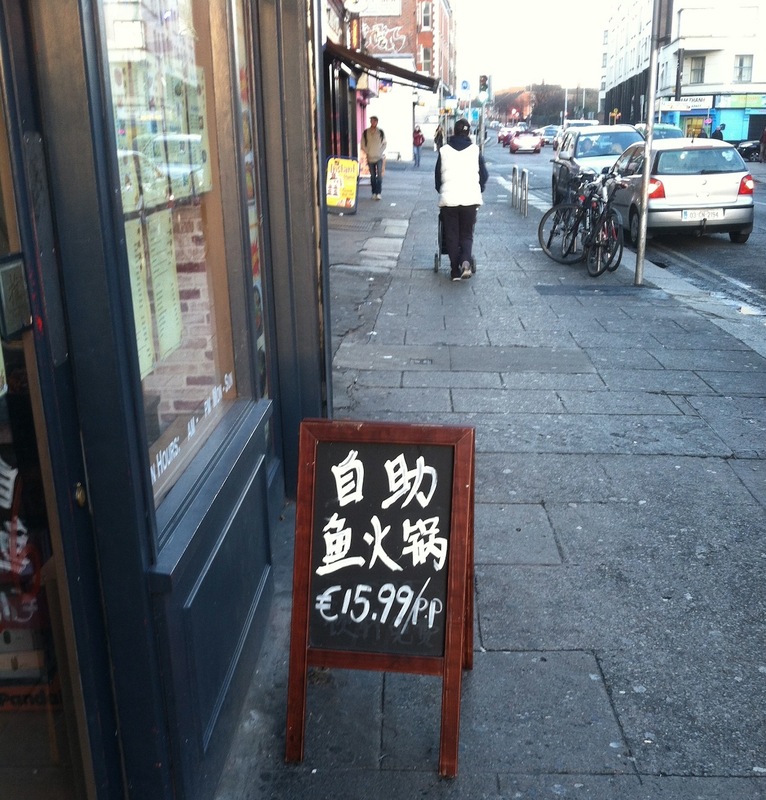 If you happen to be in Dublin for Chinese New Year, make sure to partake in the festivities. Even far away from Parnell Street, you’ll find a variety of Chinese businesses, mostly restaurants, grocery stores, hair salons, and travel agencies. 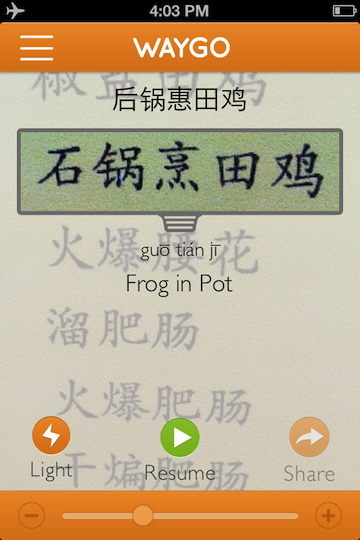 Some clearly advertise to a Chinese-only audience without any English signs (thank goodness for Waygo!). 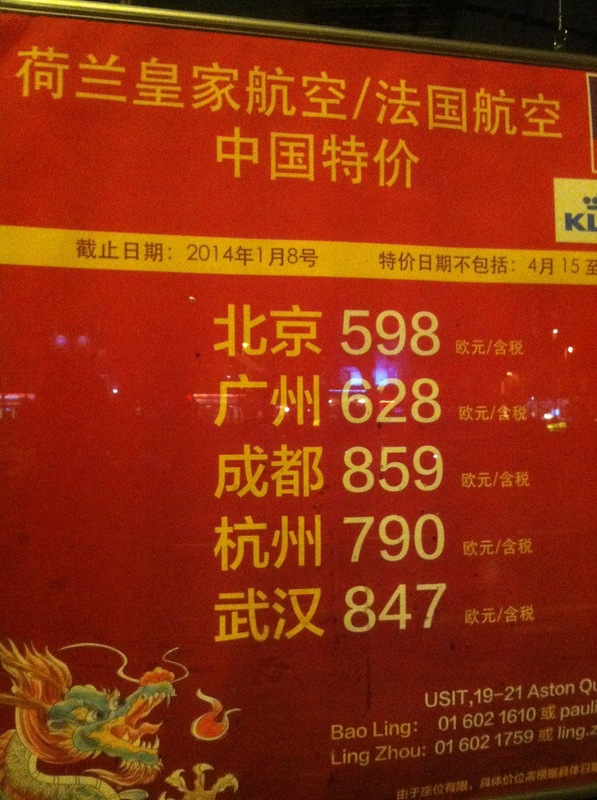 This poster is advertising air travel only in Chinese. 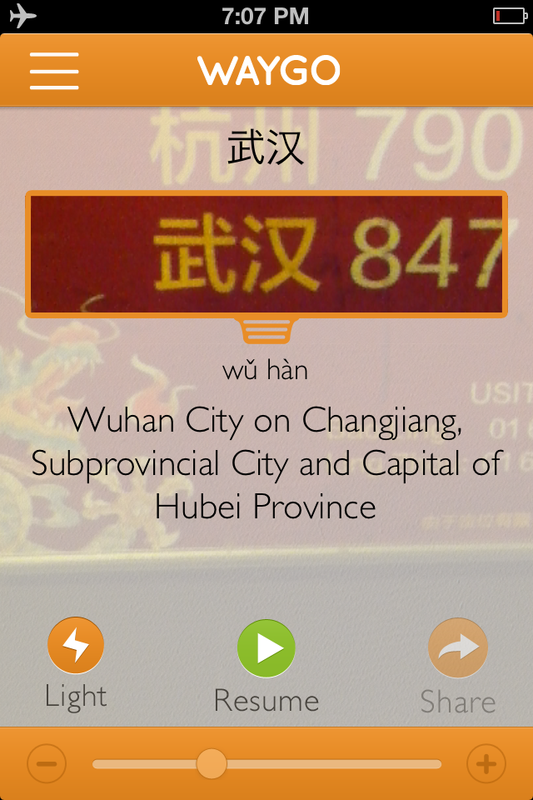 Rather than simply translating to “Wuhan,” Waygo tells you more about the city. This hot pot restaurant only advertises to Chinese readers. The majority of Chinese residents in Dublin are students, first coming to learn English, and then enrolling in universities to study other subjects. 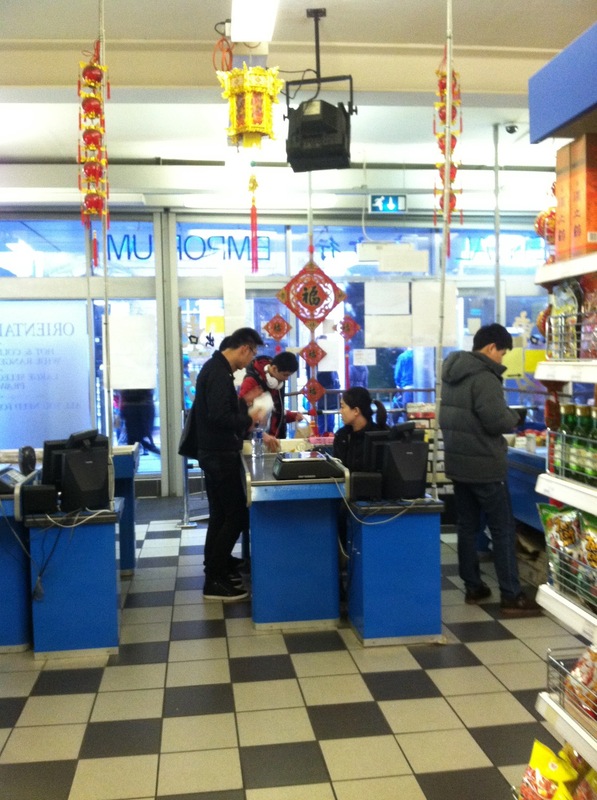 Many students work part-time in Chinese businesses to help pay for studies. 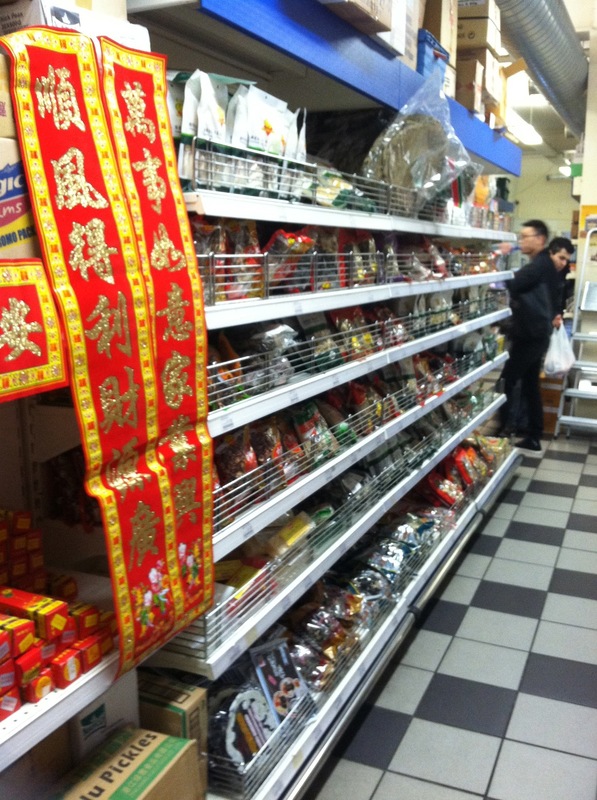 Chinese grocery stores in Dublin offer a quick teleport to China. Some signs are so well done, they don’t even need words. Good thing this isn’t usually the case throughout the world, or Waygo would be out of a job! 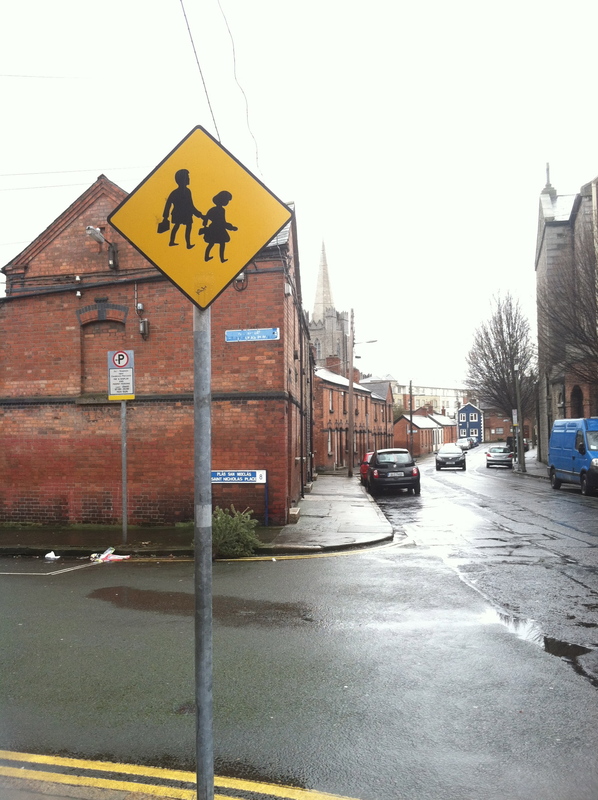 The most important signs you’ll see in Dublin are reminding you to LOOK RIGHT since cars drive on the left hand side of the road. 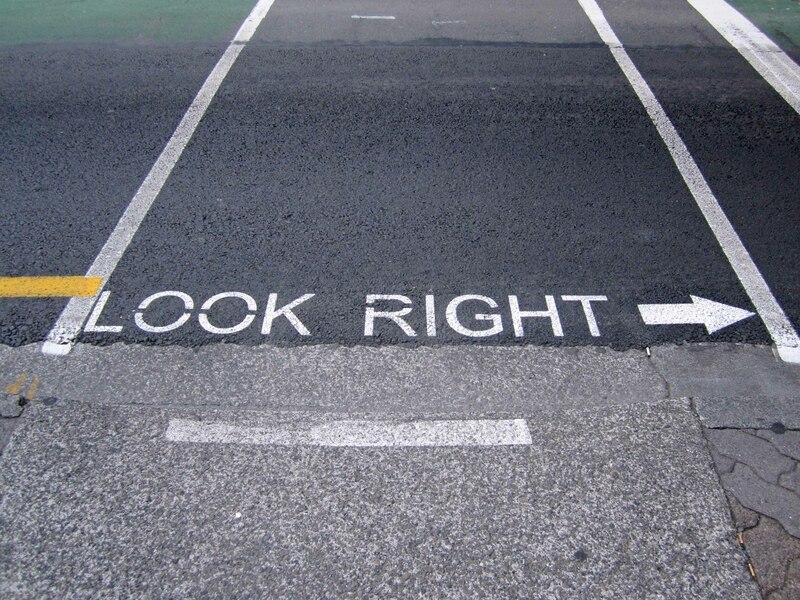 In fact, it’s super easy to tell tourists from locals, as they are always taking a few more seconds before crossing the road to determine which way to look. Happy Friday and happy travels!